UPDATE: The Sunshine Coast Council has written to participants in Buderim's Urban Food Street initiative asking them to obtain permits and public liability insurance for their verge plantings. 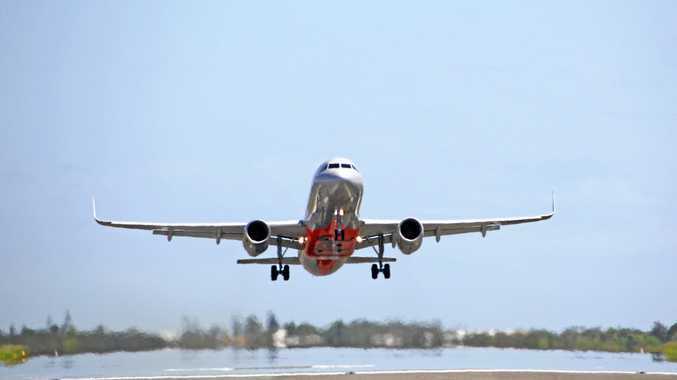 A Sunshine Coast Council spokesman stressed the organisation was supportive of the project but needed to ensure that all members of the community were appropriately considered. "We're not saying they can't keep their gardens - all they need to do is apply for a permit, obtain insurance, and make sure that pedestrians can cross the verge so that they don't have to walk along the road," a spokesman said. 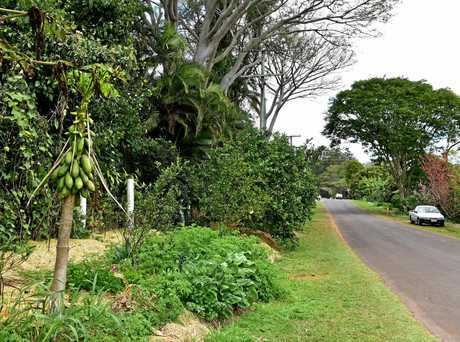 Councillor Ted Hungerford, whose division takes in Buderim, said some "overly enthusiastic" gardeners had planted right to the kerb, forcing pedestrians to walk on the road, while others had erected structures, such as trellises, which could become public liability issues. "We're trying to work with people to overcome that public liability risk," he said. Mr Hungerford said residents wishing to obtain a free permit should contact the council to arrange a visit from a staff member who would visit and discuss what, if anything, they would need to do to their gardens to minimise risk. They would also have to make sure they had public liability insurance which he said some householders might find was already included as part of their existing home insurance policies, he said. Should people have to have permits to grow food in the nature strip? This poll ended on 08 December 2016. Yes. It's a public space. No. People should be encouraged more to grow their own food. Can't people grow food in their back yard? Mr Hungerford said the council had met several times with participants in the Urban Food Street initiative to discuss the issue "but some people are refusing to take notice" so letters were sent. He said the council could be open to legal action if it did not ensure footpaths, which were public property, were safe and someone was injured as a result of verge gardening. "Some people refuse to believe that there's a very real issue with public liability. We can't just wait until we end up in a court case," he said. "We're protecting our interests and we're trying to protect the interests of residents as well, he said. "We're not saying we're against it, or stop it. We just want to look at how it's done." The council has written to 57 residents about the need for permits and insurance. A council spokesman said residents who chose not to apply for a permit and public liability insurance, but who still wanted to grow and share food in the community, were encouraged to relocate their plantings from the verge to their own property. EARLIER: Seven years after planting began, Buderim's Urban Food Street initiative has hit a speed bump with the Sunshine Coast Council. A Buderim resident told ABC Sunshine Coast this morning that the council had sent a letter in "adversarial" tones to residents with street plantings. Urban Food Street announced on Facebook that it plans to doorknock to determine who had received the letter and the extent of their plantings but did not detail the contents of the correspondence. Comments on Facebook indicate the letter refers to public liability issues with the street plantings. Some residents with both edible and non-edible plantings beyond their boundaries indicated on Facebook that they had received the letter, but other residents with plantings on the verge said they had not received any letter. Councillor Ted Hungerford, in a Channel 7 television interview, said the council was supportive of the Urban Food Street initiative but some residents had become "overly enthusiastic" with their verge plantings "which can create an issue for people walking on the verge." News of the council letter has riled supporters of the footpath plantings who made their opinions known on the UFS Facebook page. "Council seems to be a control machine - I hope it sorts itself out," wrote Rikki Shay. "It's a shame council does this sort of thing consider we are expected to mow and care for the verge," wrote Mark Neilsen. 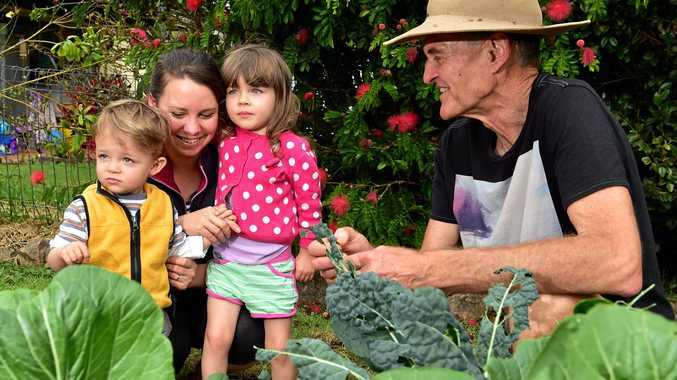 "If the council removes your veges from the verge, then tell them to maintain it themselves," Tom Hennessy said. The Urban Food Street project has previously won high praise from ABC Gardening Australia's Costa Georgiadis, who witnessed elders, the "pram set" and kids out in the streets during a visit. He described UFS as the "front line of community development" turning streets into "glue that hooks into the artery of community life." Brisbane City Council introduced guidelines for residents to establish footpath gardens to beautify local streets as long as they allow 1.2m for pedestrian access and are kept well maintained and safe, and do not interfere with access to public utilities.